Native Instruments reveals their KOMPLETE 11 Production Suite, an industry leading collection for music production, performance, and sound design. Today Native Instruments announced the 11th generation of its industry-leading KOMPLETE collections. These latest releases add new products to KOMPLETE and KOMPLETE ULTIMATE, and introduce a new member of the portfolio: KOMPLETE 11 SELECT. KOMPLETE 11 incorporates seven new instruments, including the highly innovative and brand-new synthesizer FORM, UNA CORDA, and REAKTOR 6 with the acclaimed REAKTOR Blocks. KOMPLETE 11 ULTIMATE adds 13 new products, such as the all-new orchestral instruments SYMPHONY ESSENTIALS and FLESH, as well as all the new additions in KOMPLETE 11. All suites are available as downloads or on a hard disk or flash drive. KOMPLETE 11 and KOMPLETE 11 ULTIMATE deliver new instruments that significantly expand the sonic palette for producers, composers, performers and sound designers. 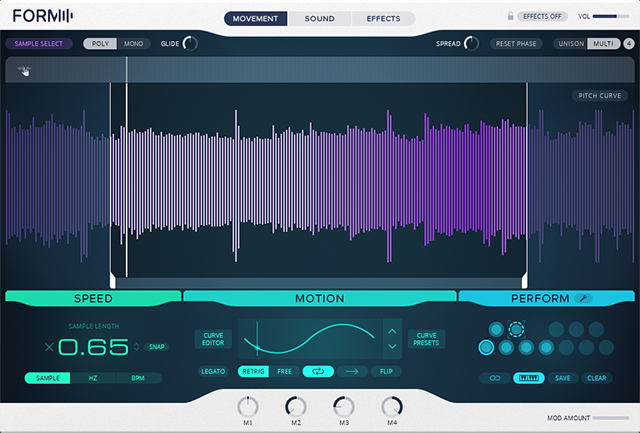 Both suites now include FORM – a brand-new synthesizer. Using a sample as the primary oscillator, FORM offers a powerful new paradigm for sound design, to spark a broad array of fresh ideas. KOMPLETE 11 ULTIMATE also includes SYMPHONY ESSENTIALS – five detailed orchestral instruments that place the worlds of brass, woodwinds, and strings directly at users’ fingertips. Based on the SYMPHONY SERIES instruments, SYMPHONY ESSENTIALS deliver the same professional recordings and signature interface with a streamlined set of articulations. KOMPLETE 11 SELECT is a new version of the suite that offers a gateway to the professional music production world of KOMPLETE. It delivers eleven full instruments covering the entire instrument range, with synths, pianos, drums, percussion, and effects. Among the instruments included are MASSIVE and MONARK – two of Native Instruments’ most widely used and revered synths. Two essential effects – The REPLIKA delay and SOLID BUS COMPRESSOR – round off the collection, enhancing options for experimentation and adding polish to new creations. 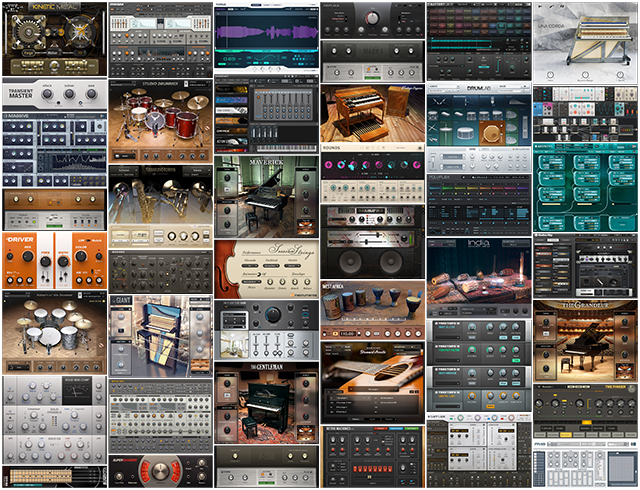 In all, KOMPLETE 11 SELECT includes over 2,500 sounds with more than 25 GB of instruments and effects. The 11th generation of KOMPLETE offers an even more comprehensive collection of instruments and effects. KOMPLETE 11 now includes 45 products and more than 13,000 sounds, with seven new instruments: FORM, REAKTOR 6, UNA CORDA, DISCOVERY SERIES: INDIA, REPLIKA, SESSION GUITARIST – STRUMMED ACOUSTIC, and KINETIC METAL. KOMPLETE 11 ULTIMATE – the flagship bundle for professional producers, composers, and sound designers – now has 87 products and over 18,000 sounds. It adds 13 new instruments to the previous generation, including the five SYMPHONY ESSENTIALS instruments, FLESH, EMOTIVE STRINGS, plus all the new products in KOMPLETE 11. The KOMPLETE 11 suites are designed to keep users focused on sound creation and music making. The newly launched Native Access drastically simplifies downloading, installing, activating, and updating Native Instruments software. The included KOMPLETE KONTROL software offers unified browsing, innovative Smart Play features, and lets users take direct physical control of KOMPLETE instruments from a KOMPLETE KONTROL S-Series keyboard or MASCHINE. 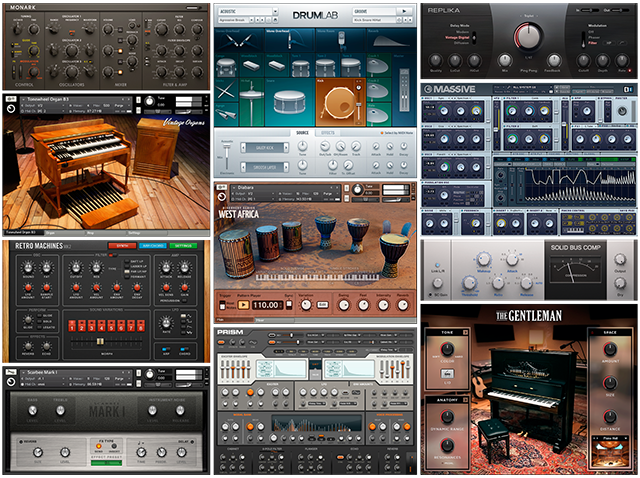 All KOMPLETE 11 suites are available as downloads or as boxed versions. For an improved installation experience, both KOMPLETE 11 and KOMPLETE 11 ULTIMATE are now delivered on a hard drive, and KOMPLETE 11 SELECT is provided on a USB flash drive – boxed versions only. KOMPLETE 11, KOMPLETE 11 ULTIMATE, and KOMPLETE 11 SELECT will be released online and in retailers September 1, 2016. All KOMPLETE 11 versions are available now for pre-order from the NI Online Shop. KOMPLETE 11 costs $599 / 599 €. 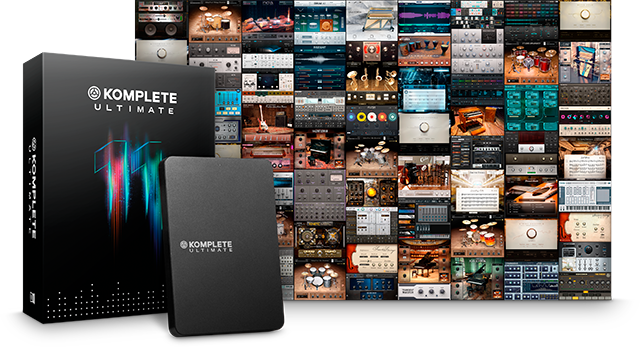 KOMPLETE 11 ULTIMATE costs $1199 / 1199 €. KOMPLETE 11 SELECT costs $199 / 199 €. Native Instruments is a leading manufacturer of software and hardware for computer-based music production and DJing. The company’s mission is to develop innovative, fully integrated solutions for all professions, styles, and genres. The resulting products regularly push technological boundaries and open up new creative horizons for professionals and amateurs alike. Finding the right sound can be like looking for a needle in a haystack. Learn the fundamentals of synthesis and sampling and gain the depth of knowledge to shape sounds the way you want them or make your own sounds from scratch.